Long live the King! Long live the King! was the cry that could be heard around the entire chess board. For as long as you have a King, you are game! Loose the King, lose the game. A few days ago I wrote a little bit about His Royal Highness here. But the King would not be so without royal companion by his side. The mighty Queen. Her majesty is not the wait in the palace sewing while the King goes hunting kind of girl. Oh no! She is mighty as she is beautiful. She is agile as she is graceful. The most powerful piece on the board, she goes wherever she wants and whenever she shows up, the enemy forces tremble and despair! During the game you will see her in the thick of the battle, fighting along her trusted knights and rooks always encouraging the humble pawns to take a step forward for she is with them. She will put the good of her kingdom and king before her own safety and is not uncommon for her to make the ultimate sacrifice to secure the victory. Definitely and admirable piece, with great power and full of energy. Enjoys being in the middle of the board where the fight is taking place and can easily tip the balance of power with a single good move. The King must count himself lucky to have such a great queen by his side! For most of us, these modern times do not leave a lot of free personal time. Even when we manage to salvage a few precious hours from our busy routines many other unplanned affairs claim for attention and we end up with very little time left. However, finding the time to cultivate a pastime is as important as working out or sorting our mail. Why? A pastime is an activity we choose to do for enjoyment, it is our little personal retreat where we allow our mind and body to relax and realign. Pastimes will come in many different shapes, but they all have a few things in common. They will help us to learn new skills, challenge ourselves and provide us with a real sense of achievement. Over the years, I have “acquired” more pastimes than I should. But when I look at the long list of personal undertakings, they all have two things in common: learn and challenge. So I concluded that my pastime is in reality that, I like to learn new things and challenge myself. Being it photography, scuba diving, playing the guitar, playing squash, reading or traveling (yes, this is the short list of my pastimes!) what I enjoy the most is learning new things and overcoming the challenges of each activity. Also, developing new skills and keeping our brains engaged in something that we enjoy improves our overall well-being and performance at other activities. So, you see there is little (if any) downsize to dedicate some of our valuable scarce time to a pastime but the benefits can be real big. I really encourage you to find sometime and devote it to that activity, project, plan that really fires up your passion and gives you the opportunity to achieve and relax at the same time! Onomatopoeia. Wow! What a mouthful! Are you familiar with it? Yes, you are! Don’t believe me? I’ll prove it to you. Have you ever referred to the sound that things make? Or, have you imitated the call of an animal? Then you have used onomatopoeia! The best definition I have ever found of the word onomatopoeia is: the forming of a word in imitation of a natural sound. Which means, you have been using them since you were a little boy or girl. Do you remember the Old Macdonald had a farm? Is full of them! Oink, moo, quack are all Onomatopeia or words that imitate a natural sound. But wait, there is more! 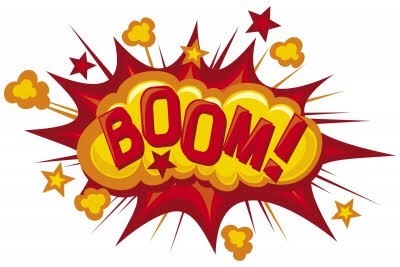 Bang, boom, zing and all those you read in the old comic books belong to the same family. All languages have them and are a very good tell-tale of the culture. So there you have it! You are familiar with Onomatopeia and have been using them all your life. Now, go brag to someone about it! No. What a simple and short word. And yet, so complicated. We all know what it means and when to use it right? Or, do we? 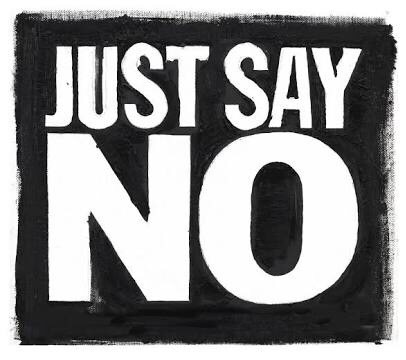 How many times in any given situation you wanted, really wanted to say no and yet, you said yes! Maybe it was to your parents, a teacher or a co-worker but you ended saying yes and getting extra work or responsibility that you did not want in the first place. And the worse part? Well, you felt guilty, you know you should’ve said no, yet you said yes and you beat yourself for it. You tell yourself over and over that next time you will say no. When the next time comes, yes again! Feel guilty again, beat yourself and repeat. I know that too well, because I’ve been there more times than I care to remember. Always wondered what my life would look like if I could say no like there is no tomorrow. Until it hit me! If I keeping saying yes to everyone and everything… There is no tomorrow! My time will belong to all those time suckers that I keep buying everytime I say yes when I know, I just know I have to say no! Everytime I say no to something, I “get” that time back to do with it whatever I want! And that is an encouraging thought. Still, learning to say no at the right time is a journey and for some of us a really long one. So, join me! Let’s learn together to say no when we mean to say no and yes when we really mean to say yes! I am sure we will all become more mature, smart and happier. Size matters! no matter what you have been told. Specially when it come to looking at the world from the physicist point of view (we all have a little Sheldon Cooper inside us… mine tends to be as annoying as the real one). When you look at the world of the very small (sub atomic particles) or the very large (the universe) the laws of physics we are used to deal with do not apply. Scientists are trying very hard to unravel the secrets of nature when it comes to deal with this two universes. This is relevant to all of us because in my opinion, the next generation of scientific breakthroughs will come from our understanding of the micro and the macro worlds that surround us. Nanobots to mend your body, molecular medicine, new superconductors, alternative power sources, the next generation of computer chips so you can see cute cats on the internet faster and a long list of other amazing things the science will make available to us in the decades to come have to do with our understanding of the very big and the very small. So keep your eyes open and next time you see a scientists don’t call him nerd… cheer for him! Hoping that some day this will end. and fought back the jet lag. only to get my head all twirled up. I long for while I pack my suitcase. Some time ago I posted an earlier version of this poem here. I have updated it and created this new 2.0 version. I hope you like it. Chess is a great thing! A game that entertains and amazes at the same time. 32 pieces on a board with 64 squares. Sounds pretty simple right? Yet everytime you play the game is always different and that is what makes me keep coming back. Of all the pieces however, there is one that I find most interesting… The King. At first glance seems to be the most important piece of them all – loose the King, loose the game. However, on a closer look, you realize that his majesty is rather a weak piece and his contributions to the overall strategy are limited… Beyond staying alive of course. Think about it, his kingship does not like to be in the middle of the fray. At the first chance, retreats to the relative safety of the corners of the board away from the center where tipically most of the battle takes place (there’s even a special move for this – castling). Also, some pretty good fighters have to commit to the sole purpose of protecting his highness, tipically a rook, a knight and a couple of pawns. These guys would be probably more useful in the battlefield slaying the oponent’s army. But remember, lose the king, lose the game. He will leave all of the fighting to his trusted troops (pawns, rooks, Knights) advisors (bishops) and… His lovely wife (the queen) who in reality is the most powerful piece on the board. Wherever she shows up, the enemy trembles! Talk about the power behind the throne. Very rarely you will see husband and wife fighting shoulder to shoulder for the good of the kingdom and their noble subjects. It will be more like I’ll cheer for you from here darling, go show them who’s boss. And a well positioned and protected queen does show them who is boss… She is! As the battle progresses and the casualties mount up in both armies, royalty becomes a bit worried, his highness will have to move either to join the chase of his nemesis or run away because the enemy troops will be busting the throne room doors. In either case, when it comes to moving, the king is sluggish (1 square at a time in any direction). Maybe is that winter fat belly or just that he is out of practice, but in any case he is not very fast. That can turn out to be problematic, if he has to run for dear life, he will not get very far before he is captured. If chasing the other king, it might take some time before he even reaches the vicinity where the other monarc is hiding. So, you see, delegates all the fighting, spends most of the time in hiding, sluggish when moving around and yet, lose the king, lose the game. I am sure there is a grander lesson here, but I am having too much fun thinking about my next move, so, I will leave to you to draw your own conclusion and perhaps you can share it with me while we can catch a game.